Given by Tom Smith of Tom Smith's Christmas Crackers (Wholesale & Export Confectioners) of Wilson Street, Finsbury Square £50.0.0. 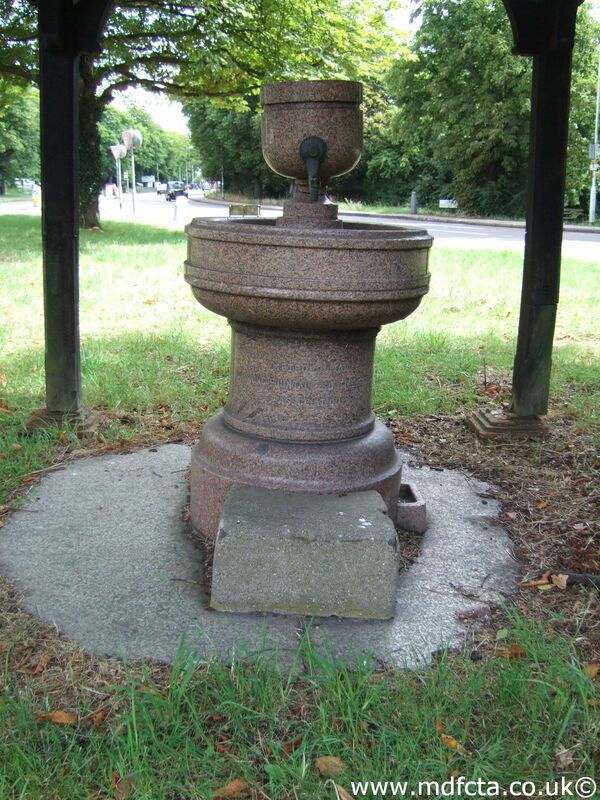 The trough is close to this fountain which was also erected in memory of Martha Smith. The date of birth of Martha Smith is different on the two structures??? Martha Smith was the wife of Tom Smith "The King of Crackers".